Lee's Gift & Apparel online store is named for Lee Carey, founder Dave Carey's father, who was an avid fisherman and outdoorsman. 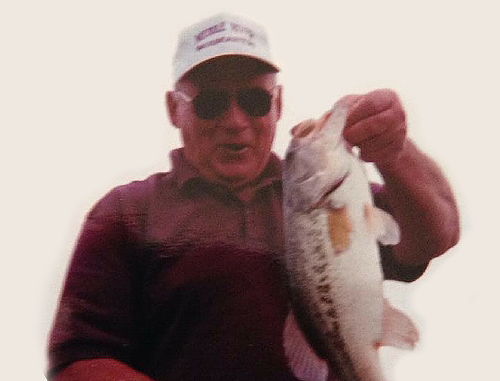 Besides fishing and spending time in the Great Outdoors, there wasn't much that Lee enjoyed more than relaxing, having fun and spending time with his family and close friends. In tribute to his Dad, Dave Carey founded, Lee's Gift & Apparel, Lee's Landing Dock Bar and Tiki Lee's Dock Bar in hopes that family and friends (old and new) would have a place to kick back and relax with those they love most. So next time you visit us, raise a glass to Lee! Cheers!